Our catamaran and its three friends, the pelicans! Encounter under sail, just before arriving in Los Roques. 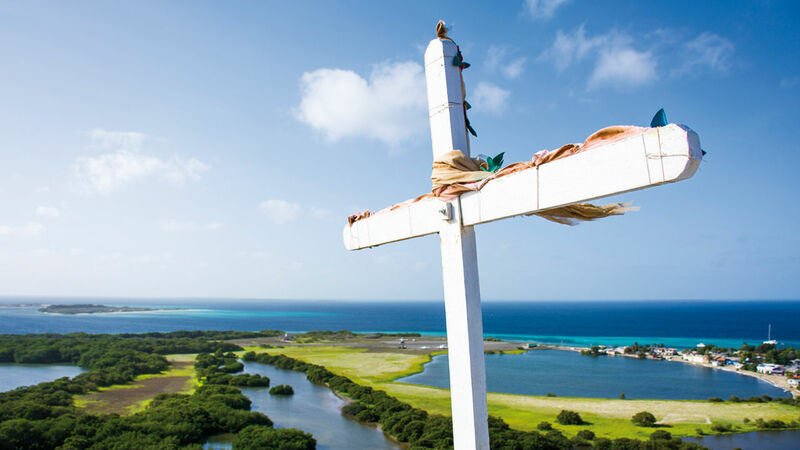 Situated around a hundred miles from the huge town of Caracas, the Los Roques archipelago was calling us, we had heard rather positive things about it. After a wonderful little night sail from Isla Tortuga, we arrived at Gran Roque, where we were going to stay for 24 hours, enough time to visit the village and above all, to obtain the cruising permit for the area. A huge number of seabirds then passed under our noses. Various species fought over the fish by diving vertically. I didn’t know where to look or where to point my lens, once again! The underwater fauna is equally incredible. According to the guides supplied at Gran Roque, there are more than 600 species of fish, mollusks and crustaceans combined! Note also that more than two thirds of the lobsters consumed in the whole of Venezuela come uniquely from Los Roques. Yet the government strictly controls the quotas, so as to conserve this rich marine resource. Which we can easily confirm, after having seen at least ten lobsters under every coral head, hardly ten meters away! We changed anchorages every day for a week, before arriving at ‘Cayo de Agua’, the final anchorage before we left for Los Aves. The prevailing winds are generally east to south-east, the large coral barrier to the east protects almost the whole of the atoll. We arrived from Isla Tortuga after an absolutely perfect passage, a steady fifteen knots, downwind and on a fairly calm sea. 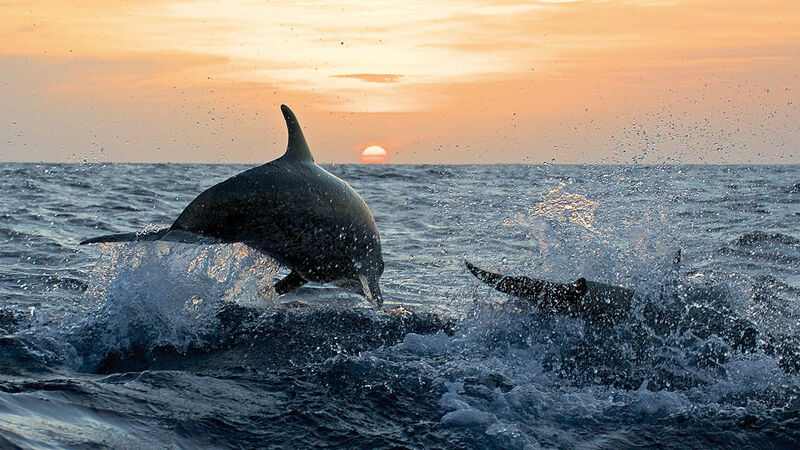 The region is moreover full of fish, and it is quite common to meet enormous groups of dolphins. There are no particular islands more beautiful than the others. If you’re going to spend time here, you might as well visit them all!